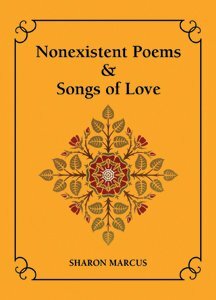 These two books of poems show different aspects of the poet's life, Nonexistent Poems exploring the remembrance and grief of attachment to the world, to the things of the world, Songs of Love looking at the postulant standing before God. The intense but transient sorrows in Nonexistent Poems are eclipsed by the light of revelation in Songs of Love both offered as emblems of our human experience, one face turned to the world, and the other to God. In Nonexistent Poems we study the poet's introspective solitude rising to unlit mountains, straddling hollow valleys dark with unseemly sadness, all transected from time to time by revelations which fall across the shadows to wake us from the dream of the world. The solitude once thrust upon the unwilling poet is eagerly sought in Songs of Love where the ardent devotee turns with love and longing to God, the mystic's disavowal of time and destiny, the mystic's longing to be one with the source of every point of light illuminating all the darkness spread across the world.